I am sure each one of you reading this right now completely sympathize with the quote above. It is important for us to escape our otherwise monotonous lives and awaken our soul by discovering a strange new place! We have been appreciated time and again for our post on Andaman and we cannot thank you enough for all your love and support. For this week we decided to post another travel story and this time we are talking about the mystical lands of Ladakh. Ladakh is a beautiful region lying in the Himalayan ranges where life starts beyond 3000 meters. It is one of the most inaccessible and forbidding regions of the world which has a compelling charm of its own. Leh is the district headquarter of Ladakh. Fortunately, I got an opportunity to explore this vibrant wonderland in August 2014. I spent the best 15 days travelling in and around Ladakh. Ladakh is accessible by air and by two major roads, Srinagar to Leh and Manali to Leh. The Manali to Leh route is 475 kms long and is more adventurous when compared to the Srinagar one and yes, that was the road we decided to take! We drove through some of the highest passes in the world and the experience was breathtaking. I want to take you through my entire journey and the only way to do any justice to my favorite place is by splitting this post into two parts. In today's post I am going to tell you guys about my extraordinary journey to one of the most enchanting places ever. In the next travel post I will tell you guys about my trip in Ladakh. You will understand why I did this once you reach the end of this story! My trip to Leh commenced at the Bangalore airport with a flight to Delhi. We reached Manali after a 12 hour long bus journey from the Delhi airport. Manali is a lovely hill station which was very comfortable and cool in the month of August. I hope to go back there during the winter season someday to witness a white paradise. 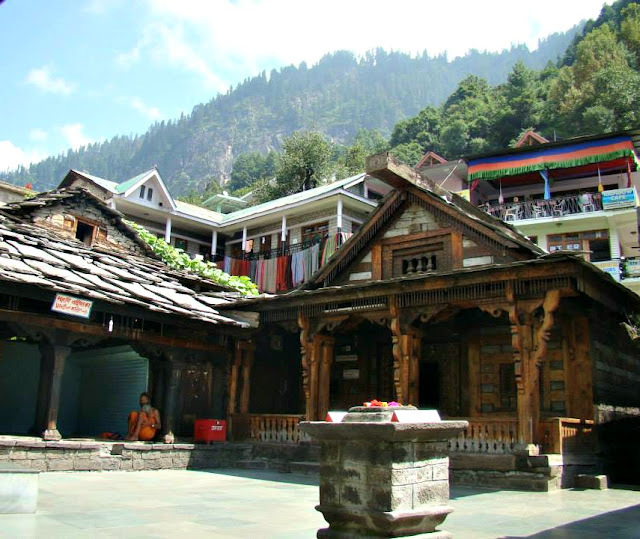 Since we were staying in Manali only for two days we couldn't explore much but we did visit quite a few places. This place is always bustling with life and you will come across a lot of travelers roaring past on their bullets headed to Leh. Van Vihar was my favorite place in Manali. It has a great scenery which can be transformed into spectacular pictures. 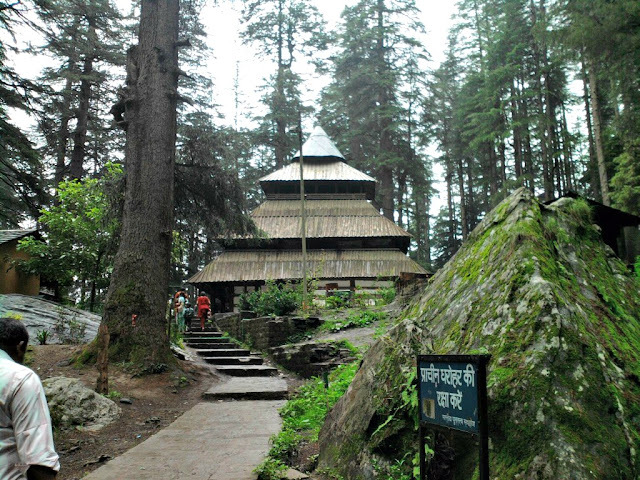 Deep within the majestic forests of Van Vihar, lies a beautiful ancient wooden temple called Hadimba Temple. On the next day we saw a lot of Israeli cafes which serve some yummy delicacies. We visited the glorious Beas River and also trekked till Vashisht to take a dip in the hot sulphur springs. The experience was absolutely rejuvenating. The trip to Vashisht was rather therapeutic. While trekking we also saw a couple of white horses just trotting away casually! We bid goodbye to Manali the next day and hit the roads. The first pass that we crossed was the Rohtang Pass. Rohtang, in Ladakhi means a pile of corpses. It is named so as a lot of people have lost their lives trying to cross this pass during bad weather. This dangerous and unpredictable pass lies at the height of 3978 meters and is open only from May to November. It might sound scary but trust me this pass is as phenomenal as it can get. Also this was our first step towards Leh and crossing it only doubled our excitement. Further Rohtang we reached an endearing small town called Sissu. It is the home to the Sissu waterfall and Sissu lake. It was our first stop after crossing the pass and we relaxed for quite a bit here. The Himalayan lakes are very different from other lakes and that's what makes them so special. Before reaching Keylong, we crossed a small region called Tandi and halted at the petrol filling station for a bit because we weren't going to be seeing another one of that anytime soon. The next filling station was 365 kilometers ahead. Yes, you read that right, three hundred and sixty five kilometers! After a long journey we finally reached Keylong where we stayed for the night. Keylong was one of the last green places we saw on our way till Leh! We didn't miss one opportunity to trek during this entire trip. Trekking in such a terrain is a terrific experience in itself. We heard about the short trek till Shashur monastery and decided to go for it. We had to trek down a mountain and then again go uphill. The best part about trekking in that temperature is that you barely sweat! On the next day we made our way to the next pass, Bara-lacha La. En-route Bara-Lacha La we crossed a spectacular view of the lovely Suraj Tal lake. 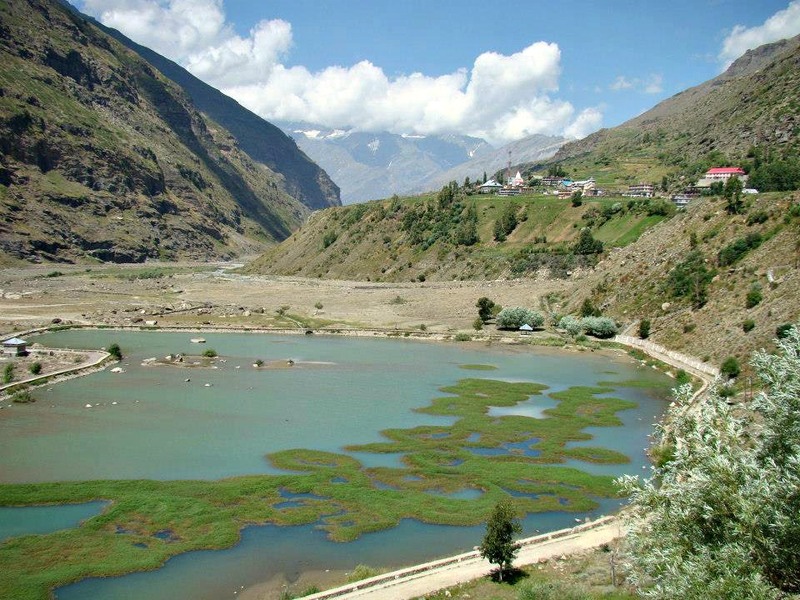 Suraj Tal translates to the Lake of the Sun God and it is a sacred lake. A few hours after crossing the lake we finally reached Bara-lacha La. La in Ladakhi means pass. 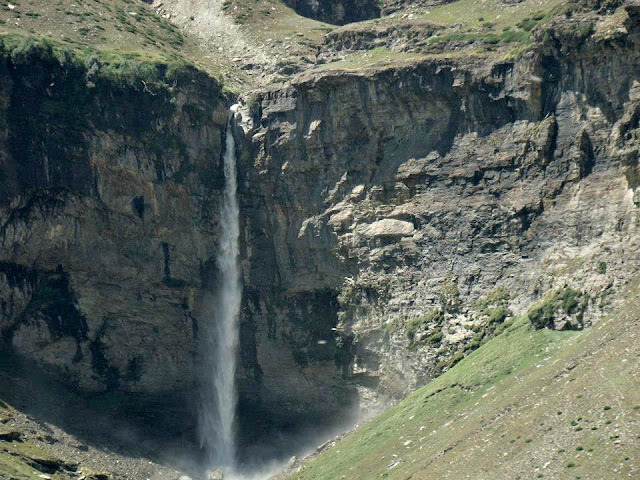 This pass is a gorgeous mountain pass located in the Zanskar range at an elevation of about 4800 meters. Our next stop was Nakeela. This pass at 15547 ft was the coldest pass we had crossed till now. As the altitude increased we were having some difficulties breathing but what we saw was worth every bit of that discomfort! The views we saw were too beautiful to be true. Here are some of the pictures of the dangerous yet spectacular Manali-Leh roads! Our next halt point was Sarchu. Sarchu is situated between Bara-lacha La and Lachulung La. It was a good idea to take some rest here and we really needed to be off the roads for a while before we crossed the next pass! After a long drive we finally reached Lachulung La. This place was so peaceful I just didn't want to leave. The altitude of this pass was much higher than the previous ones. The winds were really cold here but I was absolutely loving it. After crossing Lachulung La our next stop was a small camp called Pang. 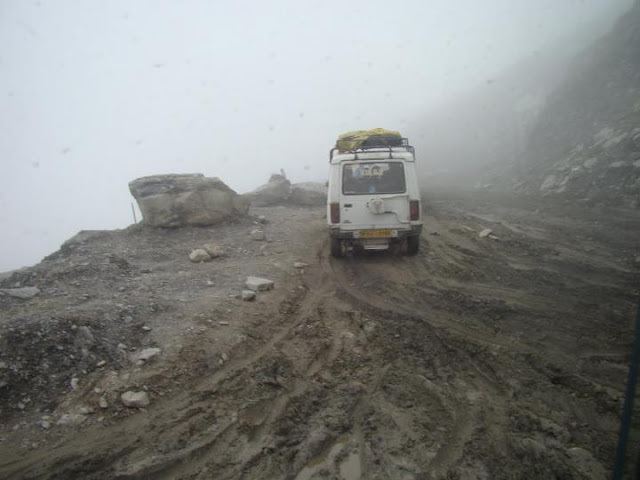 Pang is a major halt point for everyone travelling the Manali-Leh route. I wasn't very excited about stopping at Pang, I was excited about what lies further. Taglang La was the next and final pass before we finally reach Leh but that was not the best part. The best part was the road till Taglang La. I had read about the More Plains that connect Pang and Taglang La and I was more than excited to travel on it! With zero population and mountains on both sides of the road, this 40 km long stretch at an elevation of 4800 meters is a delight to every traveler! After the mesmerizing drive through these plains we reached our final pass on the Manali-Leh road, Taglang La. Crossing this pass was like a dream. 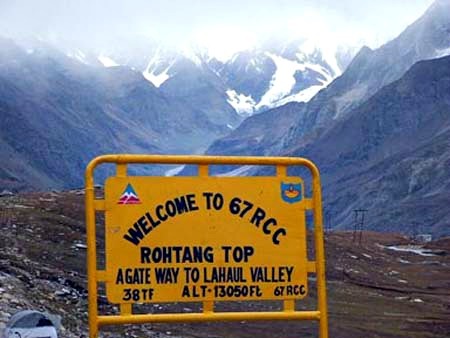 At 17582 ft, Taglang La is the world's second highest motorable pass. An hour away from Leh lies one of the most famous and richest of Ladakh's monasteries, Hemis. 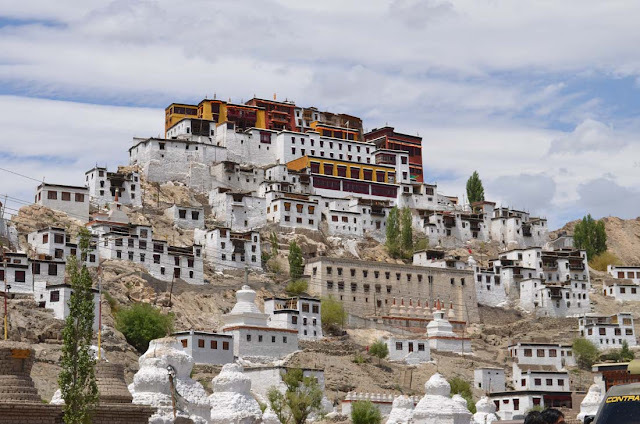 Hemis is a striking Buddhist monastery and holds a significant spot in Ladakh's history! After spending some peaceful hours at the monastery we made our way to our final destination, Leh. And this is where my real trip started! I am sure now you understand why I decided to split my Ladakh trip into two parts! Stay tuned for the next part of my Ladakh trip! Both Ladakh and the journey to Ladakh are equally fascinating. https://kullumanali.org/rohtang-pass/ The place has abundant scenic beauty and thus draws thousands of people every year. Ladakh is one of the most beautiful places in India. It is serene and provides the paragliding travelers with tranquility which you cannot experience anywhere else.